The L-00 guitar style from the first golden age of guitars in the 1930s is known among fans as a "parlor" guitar or a "blues" box, and is especially prized by bluesmen of all eras for its compressed, woody tonal quality, short scale, and comfortable weight that makes it ideal for fingerpicking or the bark of a bottle neck slide. Originally, the L-00 was produced as an "economy line" guitar, featuring a smaller size and lighter construction. Though it was discontinued in 1945, the L-00 sized guitar got picked up by rock and roll fans enamored with the sounds of Robert Johnson, Blind Willie Johnson, and Lonnie Johnson. The EL-00 from Epiphone carries a Limited Lifetime Warranty featuring Gibson's 24/7/365 Customer Service that guarantees your blues machine against defects in materials or workmanship. Contact your favorite Authorized Epiphone Dealer and check out a guitarist’s best friend, the EL-00. Like its vintage Gibson ancestors, the Epiphone L-00 features a Solid Sitka Spruce top that will improve in tone as it ages. The more you play it, the better it will sound. The smaller body (15.5" wide at lower bout) and rosewood bridge also influence the EL-00’s distinctive voice which is more focused than a dreadnought. The solid mahogany neck is set with a hand-fitted dovetail neck joint using premium Titebond™ glue. The mahogany neck and body, combined with the Solid Spruce top, make for the perfect combination of tone, warmth and brilliance with much a larger volume than you would expect from a smaller guitar. 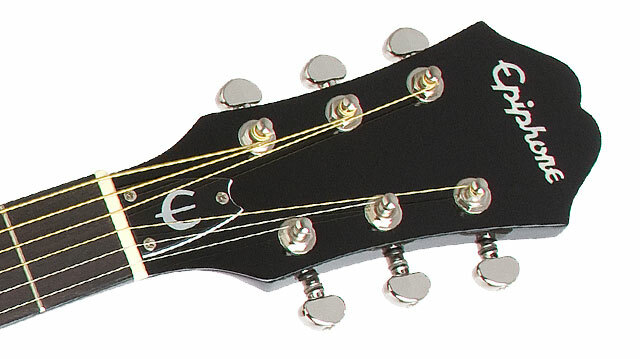 Other features on Epiphone's EL-00 include a solid rosewood bridge and rosewood fingerboard with period-correct basic "dot" inlay. The deluxe pickguard with historic metal "E" logo protects the top from pick marks. 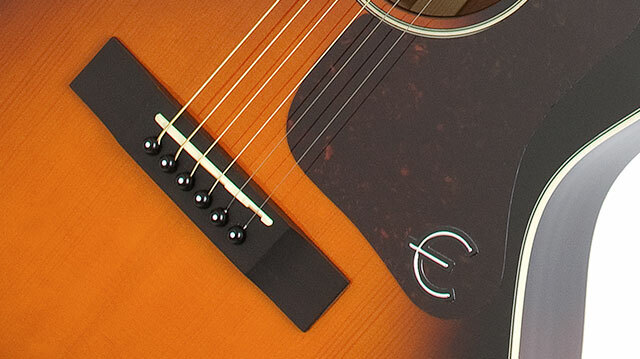 The EL-00 is available only in the iconic Vintage Sunburst finish (of course!) and is detailed with premium Grover® 14:1 ratio machine heads with small, vintage style metal tuner buttons.